"Bear Moon Lodge" is a log home that was designed to fit its location perfectly in beauty, form, and function. It is ideal for a family vacation (sorry, no four-legged family members) or romantic getaway. 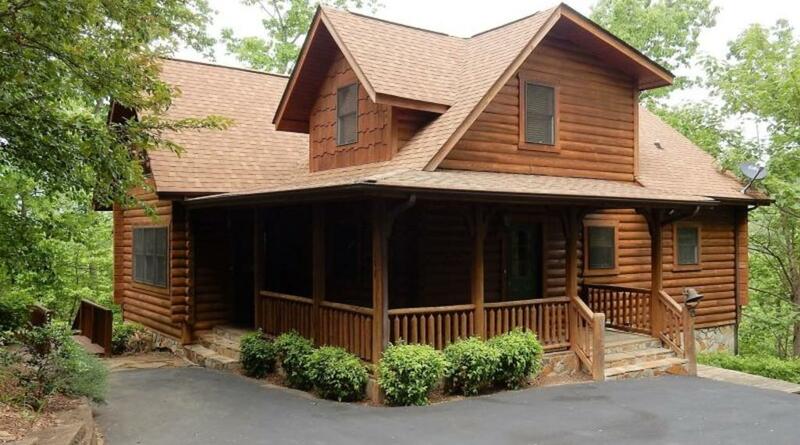 Located in Lake Lure, North Carolina, it offers 3 bedrooms, 3 full baths, 1 half bath, and sleeps up to 9 comfortably. With 3 levels of living space, there are great gathering spaces and also adequate privacy. If you have to get a little work in, there are desks and internet access. The loft and over-sized leather chair offer a nice place to curl up with a good book. The numerous televisions will ensure everyone is able to watch his or her favorite program. 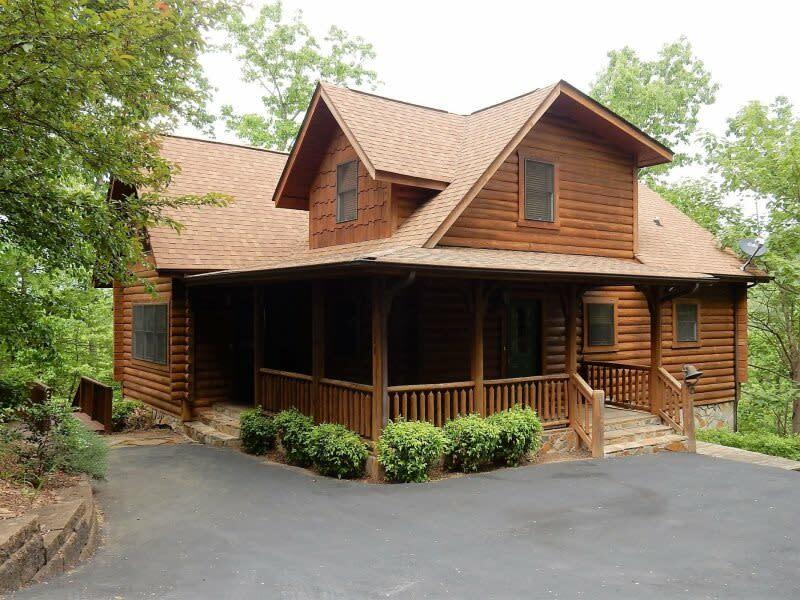 This home and the Lake Lure/Chimney Rock area have something for everyone. Check out the home's numerous Amenities as well as the Notes about this popular area. Seasonal Splendor No matter the season, this refined mountain cabin is perfect. Stay in the spring when the foliage is beginning to bloom and daytime temperatures average in the 60s. Enjoy your morning coffee on one of the decks or relax away the afternoon in one of the outdoor rocking chairs. Visit in the summer when the weather is perfect—warm but not humid. Unwind with the soothing breezes and views from the porch overlook. With the upper deck outdoor seating and gas grill, enjoy cooking and dining in the fresh mountain air. Come later in the year when a cozy log cabin feels just right; the autumn colors in this area are breathtaking and the winter weather opens an entirely new view with the leaves absent from the trees. Stay warm by the fireplace or relax in the jetted tub in the master bath. The scenic views of the Blue Ridge Mountains and waters of Lake Lure can be viewed from nearly every room in the house. You will even enjoy the sunlight through the large windows throughout the day; the soft orange of sunrise; the warmth and brightness of the midday sun; and the majesty of sunset with its pink and blue hues. Seeing all of this reflected on the lake adds to the ambiance.